Tiramisu is my second contribution the Valentine's day celebration. The first was Valentine's sparkling strawberry cocktail I published yesterday. I'm making tiramisu like in those good old times when I was working in a Moscow cooking school organized by Gastronom magazine. I wish once I went back to this job. I joined after coming to their first class: the teaching chef invited me to assist her. I can't tell you how happy I was to come to the school every weekend, help her to teach and compose new classes. I wish once I went back to this job. 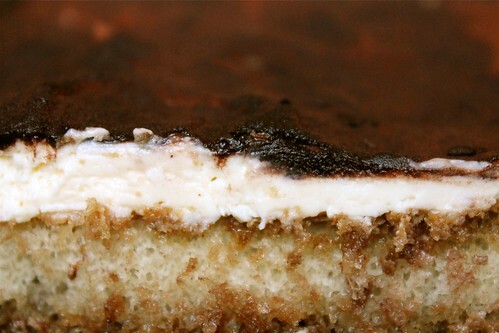 Tiramisu is another genius simple and delicious dessert. It almost always turns out better when it's home made. Probably because at home it's really very fresh and doesn't contain any gelatin which is often added in foodservice to make tiramisu hold shape. I keep following the same recipe given to me by my beautiful teacher. Combine the espresso with vanilla sugar, cool down to room temperature and add alcohol. Whisk the egg yolks with sugar until pale, add Mascarpone and mix well. 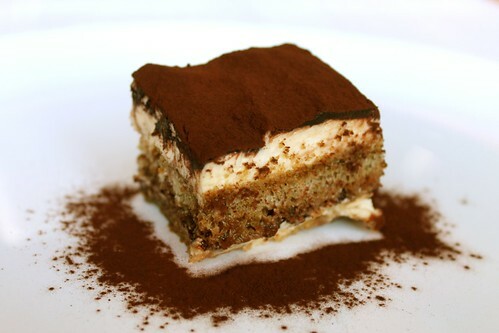 To assemble tiramisu take a deep square dish (could be baking dish or plastic container). 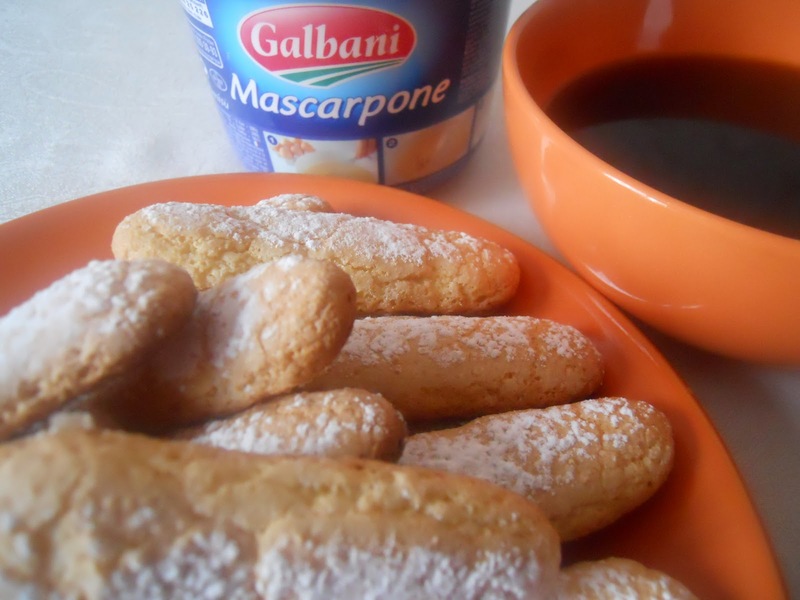 Make a layer of biscuits by dipping them one by one in the espresso and placing into the dish. 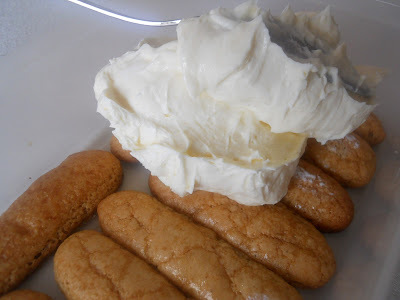 Spread 1/2 of Mascarpone cream on top of the biscuits and dust with cocoa powder. Repeat all the layers. Cover the dish and chill in the fridge for at least 4 hours or overnight. Top with more cocoa powder right before serving. Can be stored in the fridge for up to a week. Have a piece and watch: you're already flying away and Venezia laces are looming. Первая фотка - шедевральная, очень в венецианскую тему - ведь тирамиссу считается венецианским блюдом.